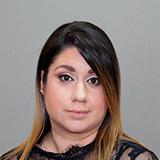 Dania brings to PrimeCare many years of experience with a well-known healthcare company, where her area of expertise was Physician Contracting for Medicare, Medicaid and commercial lines of business. Dania is experienced in producing the reports and analysis that are a huge help to physicians. She also has experience as a Quality Assurance Rep for a major healthcare company and is familiar with CMS regulations. Dania is assisting our PrimeCare Treasure Coast physicians.